Does your business or organization need a boost with today's newest marketing tools? Let Dee Reinhardt, Social Media Strategist, help you build your social media presence. You know you need a presence on the digital front, but you don't know where to start, what to say, or how to get it all put together. 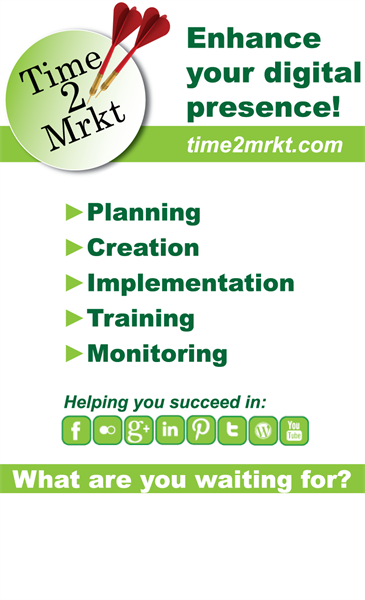 Whether you need help creating, implementing or monitoring your social media or training to achieve results, Time2Mrkt can be your guide. When speaking about social media tools at various networking events, Time2Mrkt has found that business people know they should be using social media. They may be dabbling in it, but they are not using social media to its full extent due to a lack of time or knowledge. 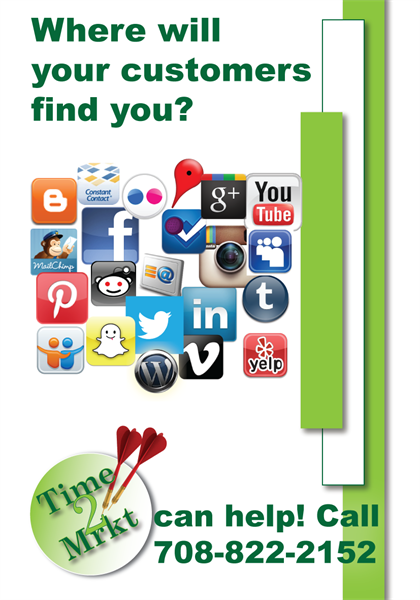 Our goal is to help you build your brand with social media as a part of your overall marketing campaign. 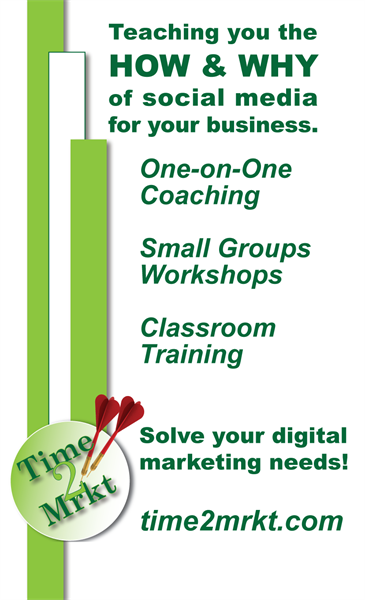 Let Time2Mrkt train you how to use the social media tools, coach you on your current use, and/or create and monitor your social presence for you. 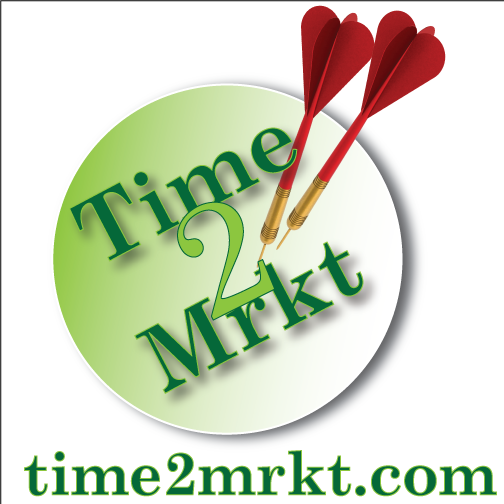 Time2Mrkt - Design, Build or Remodel your social media marketing today! I will meet with you at your office, virtually, the EAC office, or at a local food spot. Let's meet soon!